Acne elimination is a complicated process that may require more than just cleaning your face regularly. You probably believe that all you need to do to eliminate that acne is removing the skin debris! While this is a crucial exercise, it will not eradicate the pimples independently. In fact, it is always recommended that you have a holistic approach of acne elimination to avoid cases of recurrence. As such, you should spread your effort into ensuring that your gastrointestinal tract is in the ideal condition necessary to prevent the emergence or worsening of acne. You’ll achieve this by implementing a healthy acne diet. This article will give you all the tips that you require on diet and acne elimination. Have you wondered why it has proven too difficult for you to eliminate acne completely? Well, you’re probably doing some things wrong! Using the antibacterial creams may give you temporary relief but you can be sure of a recurrence. To win the battle, you need to put all acne-causing factors into a stop. One of the areas that you should give special attention to is your diet. Find more information here. The health of your gastrointestinal tract is crucial if you need to eliminate your acne. Some foods that you consume could actually be complicating your effort to regain the health of your skin. You should ensure that you consume healthy foods that will be digested quickly to enhance bowel movement thus ensuring a clean Gastrointestinal Tract (GIT). A healthy GIT is crucial in fighting acne! Failure to achieve a healthy GIT will result in acne on your skin. Below, we’ll discuss the five foods that are bad for your acne. While chocolate has some negative effects on the health of your skin, not all forms will cause acne. In fact, dark chocolate has been shown to possess incredible health benefits that prevent inflammatory reactions. However, candy and milk chocolates have a high level of sugars as well as a moderate glycemic index which has the potential of causing acne. The chances of developing acne are particularly heightened by a high consumption frequency. As such, we advise that you either eat dark chocolate or reduce the intake of milk chocolate significantly. The primary cause of acne is the blockage of skin pores leading to accumulation of dead cells on the skin and consequently to an infection. As such, it is paramount that you stop eating foods that can enhance the overproduction of sebum which may result in blockage of the pores and consequently lead to acne. To achieve this, ensure that you cut down on the saturated fats on your diet. These fats will do more harm than good to your skin and you should avoid them entirely! These vegetables belong to the nightshade family which is largely unfriendly to the skin. While the plant has some health benefits, it has a tendency to increase skin sensitivity. As such, a significant number of people have reported sensitivity to tomatoes which has led to the worsening of their acne problem. However, you should note that that lycopene component of tomatoes has anti-inflammatory properties and that the effects of tomatoes on the skin is not universal but varies from one person to the other. If you really need to eliminate the acne, then you need to cut down on the intake of milk and other dairy products. These products lead to overproduction of insulin and testosterone which worsens your acne problem. Also, cow’s milk has amino acids that are responsible for the production of IGF-1 which has the potential to worsen your acne situation. These foods contain a significantly high amount of iodine which is known to cause and worsen existing acne. As such, you should reduce their consumption to boost your elimination efforts. These substances cause systemic inflammation and complicate your efforts to eliminate the acne. Also, they may deplete antioxidants in your system which further worsens the situation. You should avoid such foods completely to enhance your efforts to eliminate acne. While some foods can accelerate the emergence of acne, others can indeed boost your acne-elimination efforts. You need to consider increasing your intake of the following foods if you need to eliminate the acne fast. Also, you can get more tips on how to clear acne here. Fish. This creature contains a high amount of omega-3 fatty acids that significantly reduces the inflammation thus preventing the outbreak of acne. Ensure that you always eat fresh fish as opposed to canned fish for maximum benefits. Cashew nuts. Just like many other nuts, cashew nuts contain significant amounts of minerals that are necessary for fighting acne. The nuts are rich in zinc, iron, magnesium, selenium, phosphorous and antioxidants. Also, it has a low glycemic load which guarantees you an acne-free skin! Watermelons and Cucumbers. These foods have incredibly high levels of antioxidants which is good for fighting free radicals which contribute significantly to the emergence of acne. You should increase their intake to tap all these benefits. 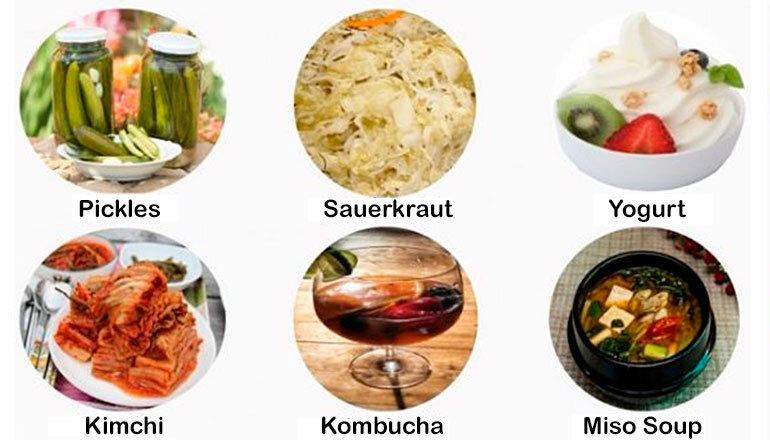 Probiotic-Rich Foods. The status of your normal flora on the gut directly determines the health of your skin. To nourish your gut, you need to take food rich in probiotics including yogurt, kefir, pickles, and kimchi. While yogurt is a good probiotic to restore normal flora on your gut, it can be destructive depending on its constituents. You should only choose the non-fat yogurt to prevent burdening your body with excess fats. Also, ensure that it is not too sugary. We especially recommend the use of these products if you have noticed the emergence of acne as you take your antibiotics. Some of these drugs are broad spectrum and they may wash away good bacteria leading to an unhealthy gut. Apart from taking the probiotics, you can learn other strategies of preventing acne here. You recently realized that every time you take your favorite beverage, there is a surge in the acne on your skin. If that’s the case, then you have to review the drinks and establish whether they are directly linked to the increase. This beverage will cause an imbalance in your testosterone and estrogen levels which will directly lead to acne. Also, drinking alcohol will suppress your immune system which will result in enhanced chances of an acne breakout. 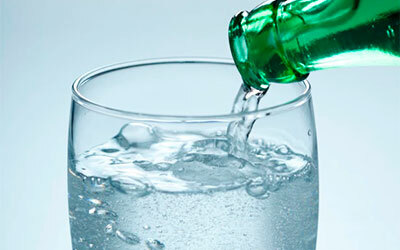 When you drink alcohol, you may have realized the level of dehydration that it exposes you to. If you are not keen to drink plenty of waters, the inflammatory agents will be highly active and may lead to the emergence of acne or worsening of the already existing ones. While this is a favorite beverage for many, it has the potential to induce acne. 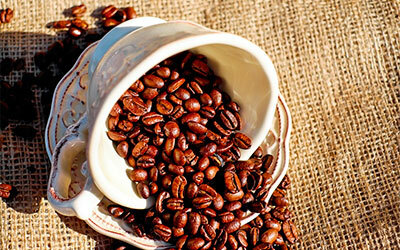 It has high levels of caffeine which raise your hormone production leading to acne. The problem is more pronounced among adolescents who have high hormonal levels and any further increase results in acne. If you notice that you’ve been developing acne, then you have no option but to avoid caffeine-rich beverages! This beverage has high levels of sugar which are unhealthy for your skin. 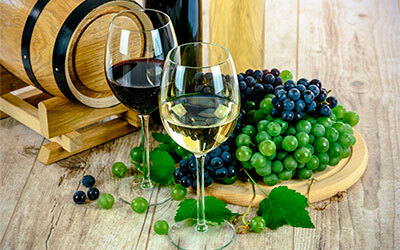 Taking a glass of the beverage is likely to spike your blood sugar levels. Therefore, you should consider cutting down on the amount of sugar you are taking to reduce your chances of having an acne breakout. If you must take the beverage, then we recommend that you first cut the consumption by half then observe for changes. If they persist, then do away with it completely! This question has two answers; yes and no! But how? Well, it all depends on the type of the tea you take! When you take tea, you should ensure that you avoid dairy products, high sugar levels as well as high caffeine. You may think that these constituents are synonymous with tea and that it is impossible to take it in their absence. 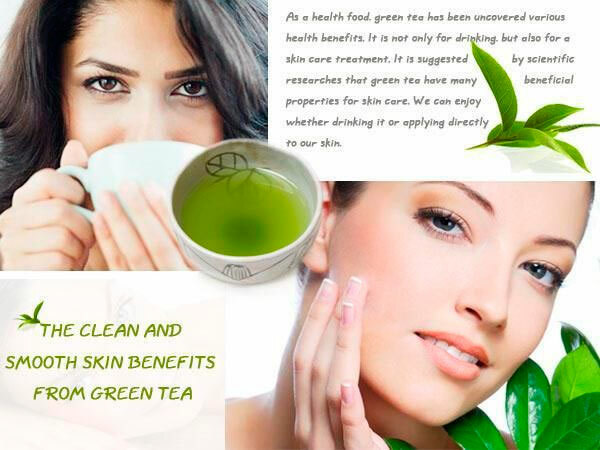 But the truth is; you can enjoy green tea which is healthier for your skin. Like we’ve discussed before, tea with milk and sugar can be disastrous for your skin. The dairy products lead to the overproduction of insulin, hormones, and consequently lead to the emergence of acne. Also, sugar and caffeine are known triggers of acne which makes this drink the worst choice you can make for a beverage. On the other hand, green tea is highly beneficial for your skin since it contains powerful antioxidants. These substances work well in eliminating free-radicals which contribute greatly to the emergence of acne. To achieve the best result, we recommend that you use brown sugar or honey on your green tea. How well you organize your diet determines the efficiency of your acne-elimination efforts. You should always strive to include foods rich in anti-oxidants, minerals, and other acne fighting constituents on your diet. On the other hand, you should avoid sugary food, saturated fats, caffeine, and dairy foods to boost your efforts of regaining a smooth, acne-free skin. You should go through the list we’ve provided to make an informed judgment on the right diet for you if you are struggling with acne.